Paul Frank's Julius monkey takes on the physical world! 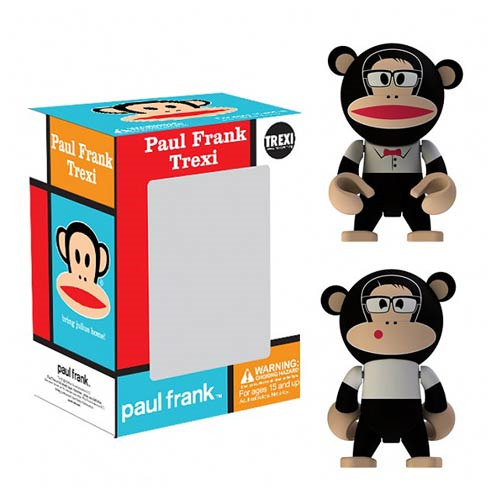 This Paul Frank Julius Goody Two Shoes Julius Trexi Mini-Figure features the famous Julius character as a 2 1/2-inch tall Trexi mini-figure wearing the clothes of an A+ student. Trexis feature a sleek round head and nifty movable limbs for enhanced poseability. Ages 15 and up.